But sometimes there comes a story that could make sense; recently there was one in the Daily Telegraph about Dogs and a pioneering operation that saved the leg of a Munsterlander, Eva, in a ground-breaking operation at University of Glasgow’s Small Animal Hospital, This made me wonder if if the science behind it might be of use to those of us suffering bone loss from Osteoporosis. Eva’s treatment is a new way to deliver a naturally occurring protein called BMP-2. It has long been known that BMP-2 will cause bones to grow, but getting it to stick in the right place has always been a problem. In previous tests BMP-2 has spread around the body, causing bone tissue to grow in unwanted places. Quite by chance, Prof Salmeron-Sanchez had discovered that an extremely common household ingredient found in paint and nail polish called “poly(ethyl acrylate)” or PEA was perfect for holding the BMP-2 in place, and also for making it effective in extremely small doses. As a last resort before amputation, Eva’s came under a Mr Marshall, who took a mixture of bone chips and coated them with PEA and BMP-2 before placing the mixture in the 2cm gap in Eva’s front leg. It was the first time PEA and BMP-2 had ever been used to treat anyone – dog or man – so no one could be sure it would work. Much to everyone’s delight, however, bone fully regrew just as was hoped – a ‘best case scenario’ – and seven weeks later Eva is on the road to a full recovery. Most importantly, Eva will not be living the rest of her life as a three-legged dog. This story leapt out at me – with its potential implications for those of us who have Osteoporosis. Being me, I wanted to ask questions, so contacted Cancer Research UK. 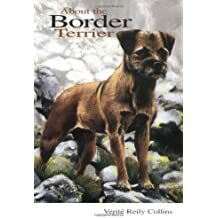 I wrote About the Border Terrier (Amazon) and 999 and other working dogs, about search and rescue, police, sled and other dogs http://www.elitek9.com/999-and-Other-Working-Dogs/productinfo/BK16/. I also developed a great deal of respect for Veterinary Surgeons and the long, intensive training they have to do. In fact, I found my dog’s vet can take bloods without causing a whimper, so am negotiating for him to do my next ones! I also discovered that dogs and humans’ treatments often are similar if not the same, and then I was asked by Mushing, an American magazine for dog sledders, to liaise with the Pharmaceutical company, Chiron, who were doing research into how many annual anti-rabies injections one needed to keep up one’s preentative course. Dogs have annual injections, and American sled dog owners had discovered many of their animals had developed kidney problems because they thought this was too often – could same happen in humans? Having been bitten by a rabid dog, and had a course of Chiron anti-rabies serum, I was very interested. In the following three years there were so many similarities that I soon realised it would be helpful if we were able to co-operate more. I fell out of the trials, as it was near-impossible to get a UK doctor to understand what was going on – all they would say was “we don’t have rabies in Britain”. Yes, but we get bitten abroad! And I needed to know, now that I have had a course of anti-rabies serum, WHEN is it safe to have the next anti-rabies injection? At the moment apparently I have loads of stuff running around in my blood, but no-one in Britain can tell me how many titres I go down to before the next one, and I don’t want kidney problems. Let’s have more co-operation and realisation that dogs and humans have got on well together for centuries – let’s work together more. And before anyone talks about infection, I understand no-one has caught MRSA from a PAT dog – so can’t see harm in having clean dogs around.